Gin-no-Mikazuki production area: Gin-no-Mikazuki is only grown in the Hida region and the surrounding upland area. 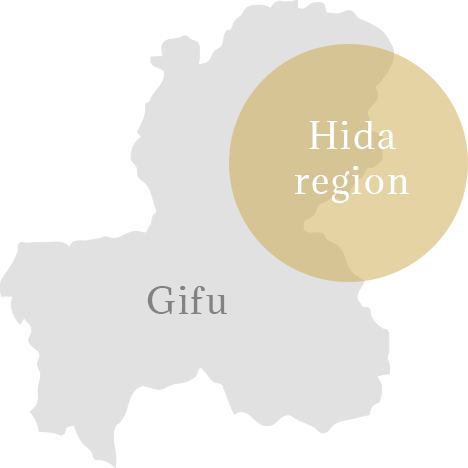 The unique upland climate of Hida (at an altitude of about 600 meters) provides large temperature differences and is essential to the large grain size and unique texture of Gin-no-Mikazuki. Full of exquisite scenic beauty, Gifu Prefecture features mineral-rich water produced by the mountains, an ecosystem full of life, and an upland climate (at an altitude of about 600 meters) that affords large temperature differences. In addition to the tireless efforts of the people involved, the unique climatic and soil conditions of the Hida region give rise to the tasty, large, plump grains of Gin-no-Mikazuki rice. Our dream is to see our customers happy and healthy through the healthy rice products we make.Our goal is to remain faithful to the farming practices of ancient times. In ancient times, there were no pesticides, herbicides, or chemical fertilizers. Then, we, too, should be able to grow crops, surrounded by lush nature and without relying on these chemicals, right? The Inochi-no-Ichi variety, which Gin-no-Mikazuki is based on, is not the most resistant to diseases, so growing it just like they did in ancient times is extremely difficult in reality. However, we at Manmaruya want to make healthy rice products, so we strive every day to achieve safe and high-quality products while working toward the goal of remaining faithful to ancient farming practices. We reduce the use of herbicides and pesticides and keep the use of chemical fertilizers to a minimum. 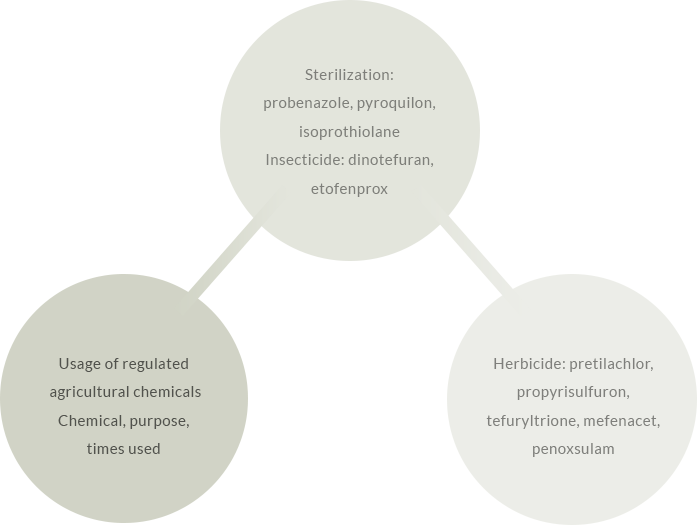 We use 50% or less of the amount of herbicides and pesticides used customarily in the region (and we are constantly working to use even less). We keep the use of chemical fertilizers (during the growing season) to a minimum. Gin-no-Mikazuki qualifies as a Specially Cultivated Rice. According to the Ministry of Agriculture, Forestry, and Fisheries (MAFF) “Labeling Guidelines for Specially Cultivated Agricultural Products,” rice may be sold with a Specially Cultivated Rice label on the package if it is grown with reduced usage of synthetic pesticides and herbicides by 50% or more (in terms of number of times used) and reduced usage of chemical fertilizers by 50% or more (in terms of nitrogen content), compared to standard practices. To provide our customers with safe and high-quality rice, we at Manmaruya are constantly making efforts to further cut down on the use of pesticides and herbicides beyond what is required by the MAFF guidelines. In terms of chemical fertilizers, we use almost none. Note: Farmers in the region customarily use synthetic pesticides and herbicides about 24 times in total on average. Copyright © Manmaruya LLC. All rights reserved.